Are you ready to simplify or update your media system? Are you installing or upgrading to a new TV? 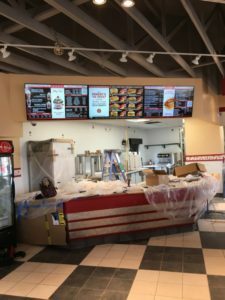 Setting up mounted TVs in retail, office, or conference room areas? 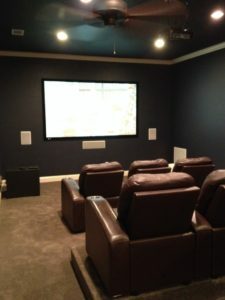 Sound Vision Media a full-service audio/video company, specializing in TV wall mounting, home theater installation, home audio configuration, and media networking. 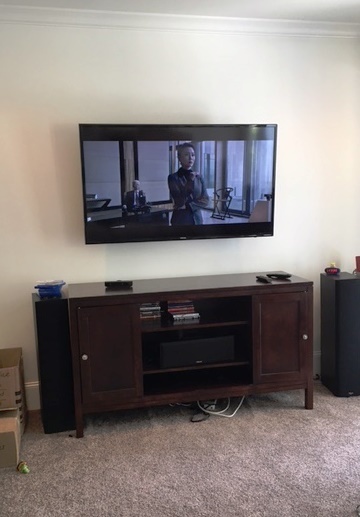 We specialize in creating clean and functional media spaces with all those ugly cables hidden inside the walls and out of sight. Located in Little Rock, Arkansas, we provide service to Central Arkansas, including Pulaski, Saline, Faulkner, Lonoke, Hot Spring and Conway counties. GET YOUR FREE ESTIMATE. CALL TODAY. Our passion is helping people create media spaces that provide beauty, style, and ease of use. We know that you have options. Many excellent mounts can be purchased online and it is possible to do-it-yourself. 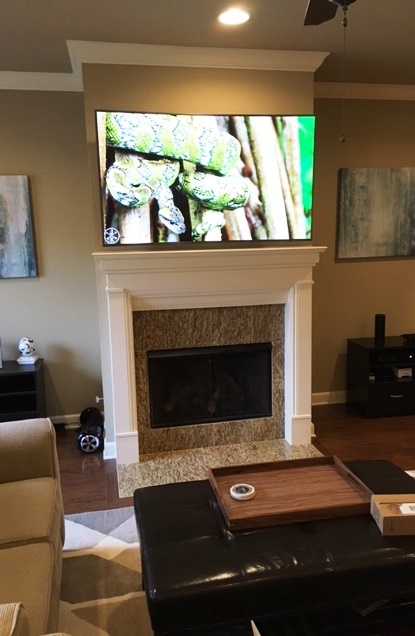 Our value comes from our experience in mounting TV and audio systems and from our commitment to offering solutions you may not know exist. 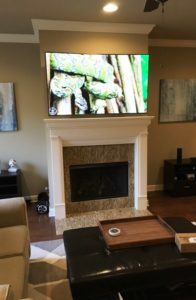 We have over 15 years of expertise in video, audio, and media equipment and integrating the latest developments into homes and businesses. In many cases, our on-site visit will reveal options that you may not have considered before. 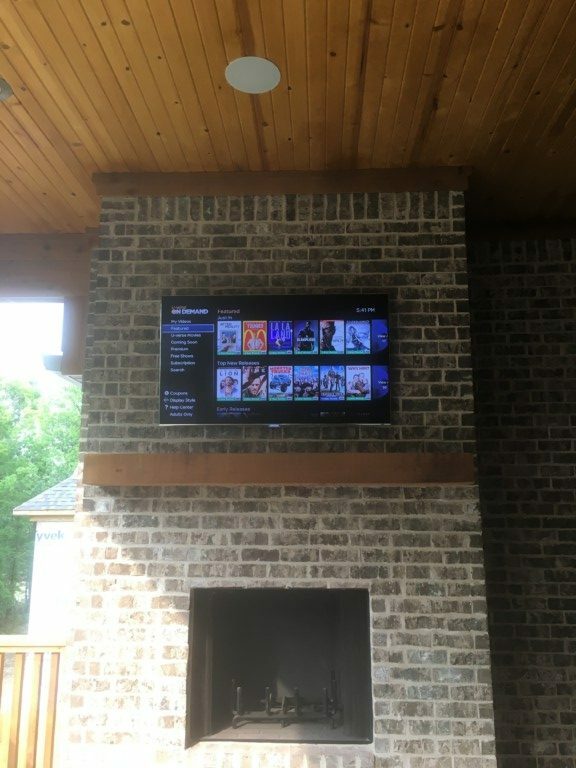 Not only do we know what is possible to setup, but we also understand lighting and other environmental factors that can impact your ability to enjoy your system. We understand you simply want a clean look for your TV and associated equipment. You don’t want to deal with unsightly dangling cables, cutting into your wall, getting power to the new TV location, or the hours and frustration it will take you to do it yourself. Let our experts handle that for you, quickly and professionally. Many of our installs take less than 2 hours to complete and leave you ready to revel in your newly organized media room. 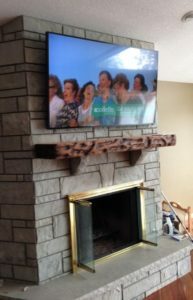 We are available and ready to help you design the media systems of your dreams. 1. Call us at 501-545-0121 for a free estimate. When you call, we will ask a few simple questions to provide you a quick estimate. We help you decide what type of mount, cabling, and other materials are best for your specific setup. In most cases, this estimate is the price you can expect to pay at install. 2. 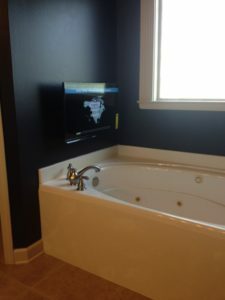 Schedule your installation appointment. Most installations take less than 2 hours to complete. You will need to be available to meet your technician. 3. Meet your technician for your install. Your technician will do a quick onsite assessment to confirm the products needed and services to be performed. We carry many products on our truck, for any last-minute items that may be needed for a successful install. Once confirmed, we will get to work quickly and professionally. When we leave, you will be ready to enjoy your new wall mounted and properly configured systems. Chad was awesome – friendly, easy-going, and great at his job. He made the mounting process look simple, even with some wiring challenges. Extremely reasonable price, I’d definitely recommend him to anyone and will be using him again when the situation arises. I had a high end home entertainment system that was a fully updated change out to new 4k TV/ equipment/components/wires. Chad was friendly and solved all problems with a very positive outlook. He even programed my remotes before leaving. GREAT GUY! GREAT SERVICE! GREAT PRICE! GREAT EXPERIENCE! 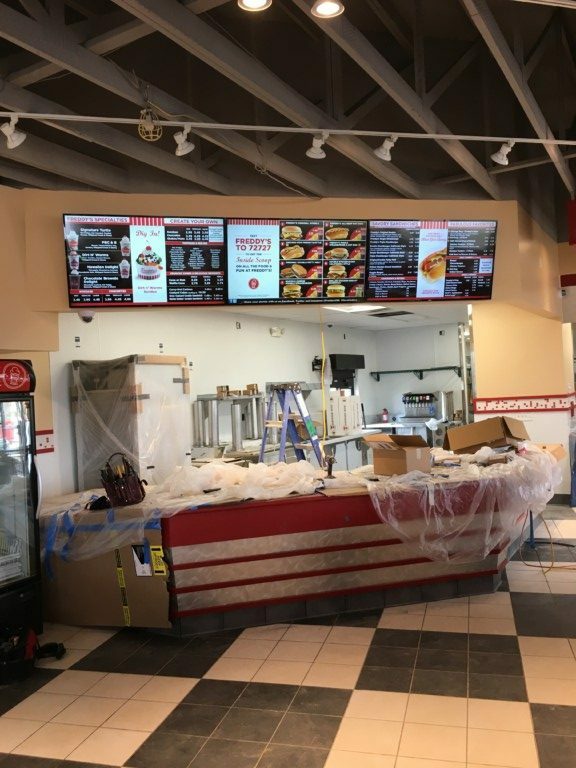 Chad pulled off a large install, Flawlessly, for a very important client of ours recently, and he did so with very little lead time. Chad & Sound Vision Media will be my Go-To for all of my A/V needs in and around Little Rock. Great service, great price, great reaction time, nothing but good things to say about this company! Sound Vision Media is an awesome company! 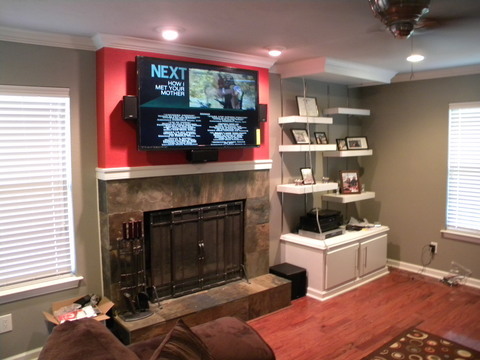 Chad is great, he mounted two 60″ and above tvs and a 48″ for a very reasonable price. Chad is very professional, knows his work and does it great and gets the job done in no time. I will keep Chad and sound Vision Media in my corner for the future! Thanks Chad!